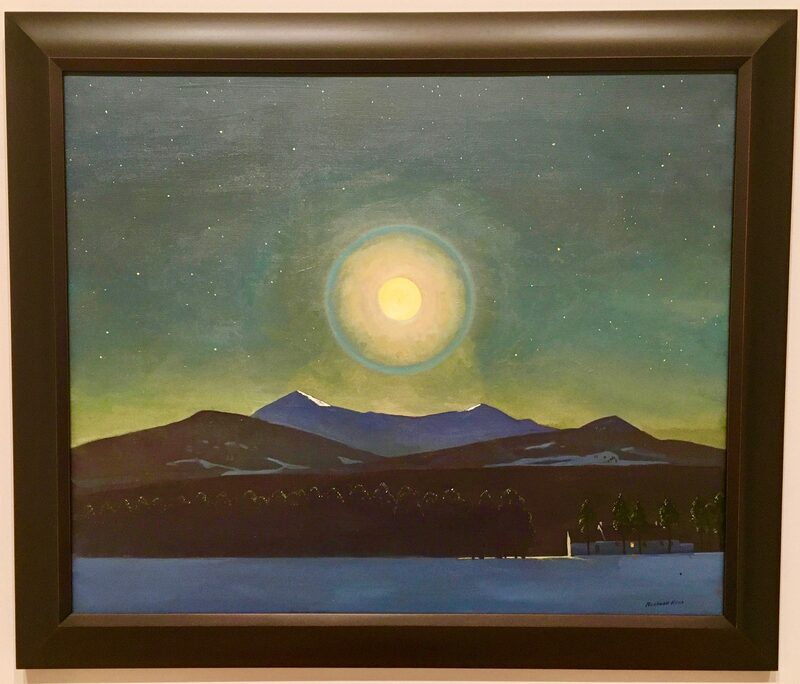 Rockwell Kent (1882 – 1971) was a self-proclaimed wanderer who felt most at home in the wilderness. His artistic and philosophical devotion to nature lead him to explore far-reaching places that served as inspiration for his rugged landscape paintings, as well as several published travelogues. Moonlight, Winter (1940) depicts the farm in New York’s Adirondack mountains, where Kent eventually settled in 1927. The scene conjures the artist’s vision of a certain — if somewhat distant — harmony between there vastness of the night sky and the quaint shelter of human life. Photographed in the Whitney Museum of American Art in NYC.